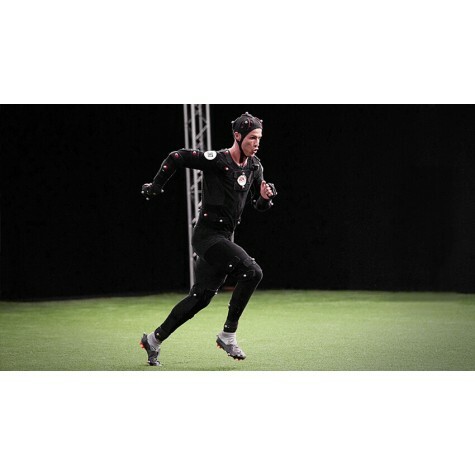 Powered by Frostbite :EA SPORTS™ FIFA 18 blurs the line between the virtual and real worlds, bringing to life the players, teams, and atmospheres of The World’s Game. The Journey Hunter Returns : Alex Hunter is back along with a star-studded cast of characters and top football talent. The future is bright, and the world is talking about Hunter... but life in football isn't always fair. Own Every Moment : Complete innovation in the way players think and move, physically interact with opponents, and execute in attack puts you in complete control of every moment on the pitch. REAL PLAYER MOTION TECHNOLOGY :The biggest step in gameplay innovation in franchise history, FIFA 18 introduces Real Player Motion Technology, an all-new animation system which unlocks a new level of responsiveness, and player personality – now Cristiano Ronaldo and other top players feel and move exactly like they do on the real pitch. 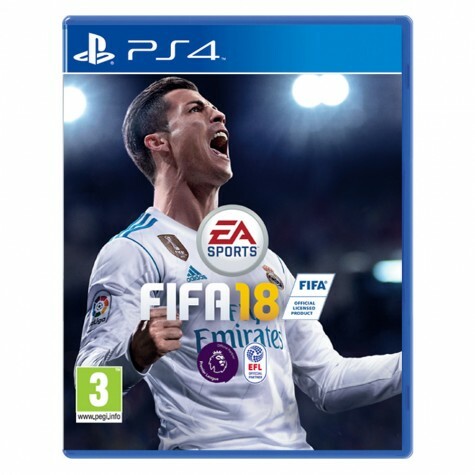 THE BEST OF THE BEST : Play with the most iconic legends of football in FIFA 18 Ultimate Team on PlayStation 4, Xbox One, Nintendo Switch, and PC. 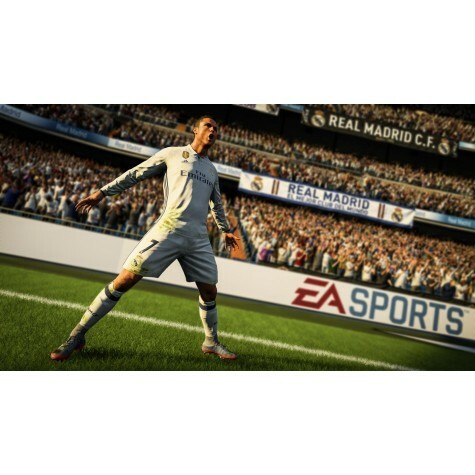 Pre-Order the ICON Edition and get Ronaldo Nazário in your team. FIFA 18 launches on September 29th. 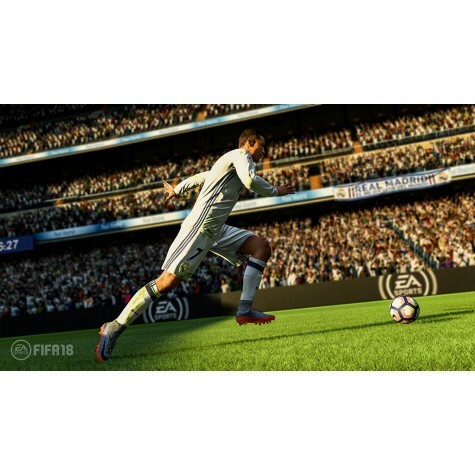 DRAMATIC MOMENTS : Score incredible goals in FIFA 18 as new movement and finishing animations unlock more fluid striking and heading of the ball. All-new crossing controls bring greater options to how you send it into the box. Whipped to the spot, arching deliveries, and pinged crosses to the back-stick will shake up your attacks in the final third.Score incredible goals in FIFA 18 as new movement and finishing animations unlock more fluid striking and heading of the ball. All-new crossing controls bring greater options to how you send it into the box. Whipped to the spot, arching deliveries, and pinged crosses to the back-stick will shake up your attacks in the final third. TEAM STYLES : From tiki-taka to high press, new Team Styles put the most recognised tactics of the world's best clubs on the pitch in FIFA 18. 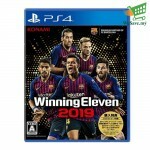 Enjoy more time and space to read the play through New Player Positioning, while improved tactics give players greater options on the ball as teammates exploit space and make new attacking runs. 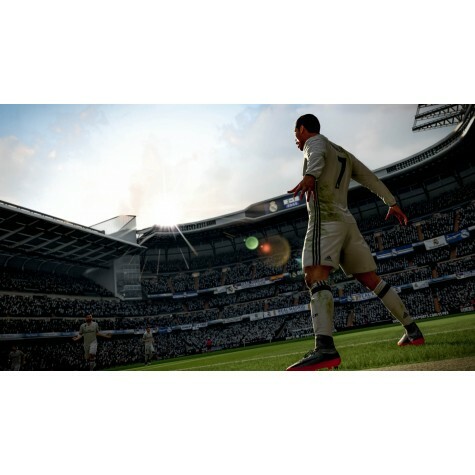 IMMERSIVE ATMOSPHERES : Authentic sun positions, cinematic atmosphere grading, signature pitch-side fixtures, on-pitch debris, club and stadium specific banners, adaptive commentary, and changes in pitch quality all come together to bring the most immersive football experiences to life in FIFA 18. Hear authentic chants as you attack, feed off the energy of new, high-def dynamic crowds and interact with your fans while celebrating.